How would you gain the confidence of your team as a new supervisor, especially if they are resistant to you? This is not an uncommon question. Whenever a person is promoted or appointed to a position of leadership, there is always the possibility of a political dynamic that will make their job far more challenging than the requirements of the position dictate. The new appointee may have come from within the ranks of those they are now required to supervise and may not have been the popular choice for the position. They may be facing hostility from some who feel that the wrong person has been put in place and they may have to address resentment from others who felt that they should’ve been appointed to the position. 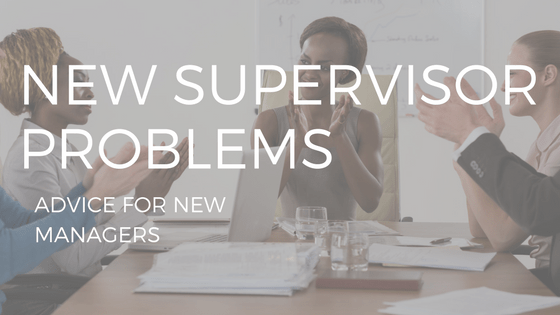 The new supervisor may have been transferred from another area or department within the company, or from outside of the organization, and could find themselves being viewed as interlopers who are not welcome in this environment. And yet, they have been placed in the position and have a job to do, which must be done well they wish to further their career. There is no one solution for the many people who face this quandary but having worked with many in this position over the course of my career, I would like to offer my thoughts. First and foremost, always remember this: respect cannot be demanded, it must be earned. This means the new supervisor would be naïve to assume that they will be universally respected by all team members simply because they are now occupants of the office. In my opinion there are several nonnegotiable behaviours that must be modelled by the new manager if they wish to have any hope whatsoever of earning the respect of their direct reports. They must hold themselves to the same, or higher, standard as the rest of the group. Double standards (these rules apply to you, but not to me) are not only viewed as open displays of arrogance but also serve to widen the divide between managers and staff and contribute to a culture of them vs us. Eating lunch in the executive dining room while the rest of the team files into the staff cafeteria fosters neither respect nor confidence in the leadership. They must set high standards of accountability and expectations for each team member and be unyielding in holding all to those standards. In other words, they must raise the bar for all. They must address errant behaviour and subpar performance immediately and fearlessly. This does not mean they walk around with a big stick, it does mean that those malpractices will not be tolerated. They must seek every opportunity to reward good performance. What gets rewarded gets repeated and sincere recognition of good performance is, without question, the most powerful driver of sustained good performance. They must be predictable. This means the same person needs to show up for work each day. They can’t be a good guy one day, a pitbull the next, then moody on another day. Their staff must know what to expect with each interaction and should never feel as if they are walking on eggshells. They must demonstrate their willingness to outwork everyone else. This does not necessarily mean longer hours, it does however mean an unquestionable commitment. They must also recognize that they have two jobs – the one they do when their door is closed and they are shuffling papers around their desk, and the one they perform when they are interacting with their team members – and be very cognizant of not spending all their time favouring one at the expense of the other. They must be willing to deal with conflict quickly and fearlessly and be equally willing to make tough decisions when necessary. They must give each person a voice yet be courageous enough to make decisions that may go against the will and wishes of other team members. They must be both available and approachable. They must keep their word. If they say they will do something by a certain date, it must be done – every time. There is no excuse or reason that can repair the damage to trust and credibility when one’s word is not kept. And if they really want to excel at the one function every manager is hired to do – get the maximum productivity out of each employee – they need to learn how to engender discretionary effort from their team members. There is no better way to do this than to treat people with dignity and respect. This means taking a personal interest in their folks, not viewing them simply as a workers. Finally, if earning the respect and confidence of their team is of primary importance, this newly appointed supervisor must always remember that they are not competing in a popularity contest and must, at all times, regardless of the consequences, be true to themselves by making decisions and taking action that, in their opinion, are based purely in the best interests of the organization and not to please those around them. I have long believed that the most difficult and challenging position in any organization is that of the front-line supervisor, for they are caught between the expectations of their bosses and the work performance of their direct reports who, in many cases, represent the only contact customers have with an organization. And to satisfy their boss’s expectations and ensure performance that puts smiles on the faces of customers, they must earn the confidence and respect of their employees. This is not an easy task but there are few that ever provide a greater sense of accomplishment and satisfaction. So, if the opportunity to be that newly appointed supervisor is ever presented to you, grab it with both arms and never let go. It won’t always be fun, but, if done properly, will be enormously gratifying for a very long time.